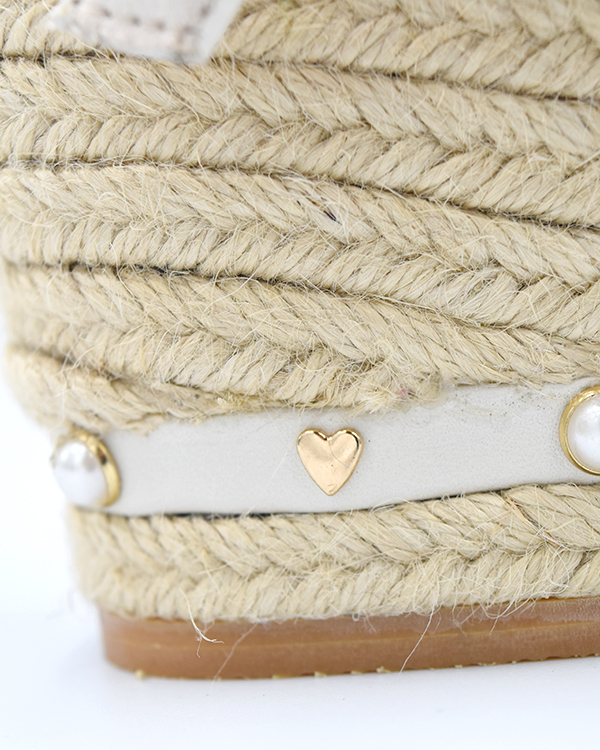 Jute material sandals very trendy this Spring/ Summer. 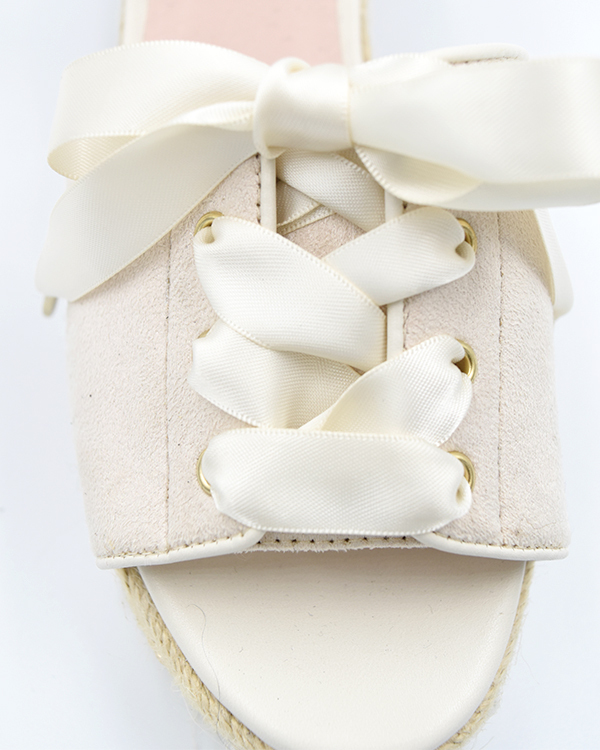 The heart and pearl charms on the sole, the low heels, cute and suitable shoes for your daily life! The black color way has additional gingham printed!